It’s been five years since Scott Cooper’s directorial debut Crazy Heart bagged two Oscars, signalling that the young filmmaker was one to be watched. For his sophomore effort, Cooper has once again enlisted a top tier cast for slow-burning American thriller Out of the Furnace, and on behalf of This is Fake DIY I was fortunate enough to chat with him about his latest endeavour. In the interview Cooper talks about his experience directing such a talented ensemble and the misleading marketing of the film, in addition to future projects. Have a read below. Amon Warmann: Your first film, Crazy Heart, won 2 Oscars. Did you make a conscious decision to take a break rather than make another immediately after? Scott Cooper: I did. I made a conscious decision to write and direct another personal film, but I also made a conscious decision not to try and follow up an Oscar-winning film with films made solely to win Oscars, because when you do that it becomes a soulless endeavour and you’re doing it for the wrong reasons. AW: Was there anything you learned directing Crazy Heart that you took into directing this one? SC: Yes…Don’t be afraid to tell a story patiently, don’t be afraid to ask much from your audience and trust your instincts and your collaborators. AW: Woody Harrelson is really portraying the darker sides of humanity with his character, Harlan DeGroat. How do you develop that trust between yourself and the actor so they feel comfortable going there? SC: It takes an actor of rare talent and breed to want to play a character like that, with no redeeming qualities. Clearly those people exist all over the world. They exist in your town, they exist in my town. We’re reminded of that every day in the news that these people exist. It takes an actor who isn’t afraid not to be liked. Most actors get into acting because they want to be liked, from a very young age. They want adoration from their parents, from their families, from their peers, from their friends…look at me, look at me! If you can do that and then over time graduate into being an actor who really only cares about performing truthfully, in the emotional truth of the character, like Woody Harrelson, Christian Bale, Casey Affleck and the rest of the cast, that’s when you create magic. AW: You were an actor for several years before you started directing. I’m guessing that can only help when it comes to directing actors like this. SC: It helps tremendously because you understand that language, you understand the process, you understand the artistic courage that it takes to play characters like this, and you can better modulate their performances because you understand that type of process and human behaviour. AW: After you finish shooting a brutal scene, what are those next few minutes like? SC: These actors are working at a level that very few actors work, and you understand that they’re taking risks that few actors can or would take, and you turn to your collaborators – your cast, your cameraman, your producers – and say wow, that’s as good as screen acting gets. You have to keep that up scene after scene after scene, and in this case I didn’t want to over-explain anything to the audience and you want to subvert their expectations. I think this movie was sold as an action movie, and quite frankly this is an anti-action film. It’s much more about psychology and behaviour, kind of a dying breed of masculinity and a dying way of life. So you have to keep all those things in mind as you tell the story but after each scene would end, I would drive home every night and I would say to myself that I got everything and more that I could ever have expected and hope for. AW: Was there much improvisation on set, and did you have many deleted scenes by the time you finished your final cut? SC: Not much at all by way of improvisation or deleted scenes. It was just a process of paring it down to find the emotional truth. Sometimes I would overwrite a scene and realise that I needed to say more with a look or a glance or behaviour than any type of writing. I think most films are overly written, and then audiences become lazy because they’ve been fed so much through television or through films that explain everything to them. SC: Well I think in retrospect you can see how people, or at least America wanted a mano-a-mano revenge film, Christian Bale vs. Woody Harrelson and the film is not that. Maybe it was earlier in the film and then of course in the final few frames. For me, this was really a film about America over the past five years. A dying steel industry, crumbling economy, soldiers returning from war suffering from PTSD, and the fact that we live in a violent nation. So if you put that in marketing material for a trailer people say “Oh my God I get that in real life. Why go see that when I can go see American Hustle?” It’s tough for a studio because these movies, all movies, are designed to make money. It’s called show business for a reason, not show art. So it makes it difficult for them and you try and get as many people to see your movie as you can on opening weekend because if not then the movie will just die. I’ll tell you this though; I’m forever proud of this film, will go to my grave feeling proud of this film and the work we did with our actors and if it isn’t what people expected or wanted then go see something else. AW: What’s next for you, any projects lined up? SC: I’m in the infancy of telling a story about a notorious Irish-American gangster in Boston named Whitey Bulger and it looks like that may be told with Johnny Depp playing Whitey, so we’re in the process of putting that together now. 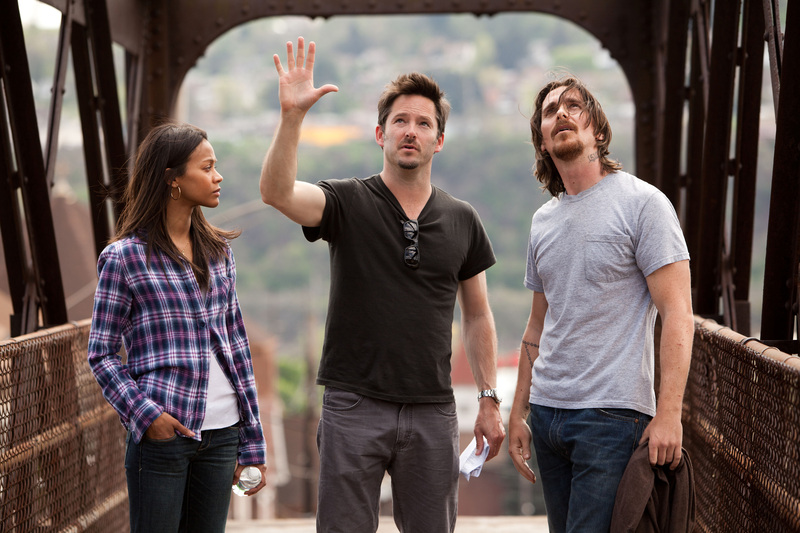 You can read my review of Out of the Furnace here. This entry was posted on January 30, 2014 by Amonymous. 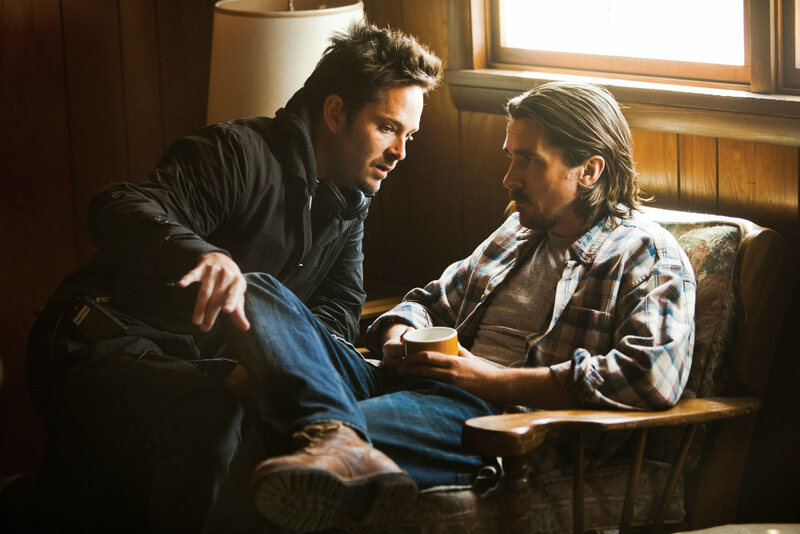 It was filed under Interviews and was tagged with Out of the Furnace, Scott Cooper. Great interview, man. Very interesting answers by Cooper. Thanks. I love it when an interviewee speaks with candour. I watched a video interview with him and the cast recently and I really loved it.